Shopping around for an SUV that meets all your needs isn’t always an easy process. Thankfully, narrowing your search through critical comparison and research has never been easier. If you’re having trouble deciding between the 2019 Volkswagen Atlas vs the 2019 Ford Explorer, consider our comparative analysis down below. We found that the 2019 Atlas exceeds the 2019 Explorer in terms of storage, safety and technology. 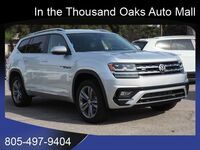 The 2019 Volkswagen Atlas is offered in two more trim levels than the 2019 Ford Explorer, giving drivers more freedom and choices during the shopping process as a result. The 2019 Volkswagen Atlas is also more spacious, giving drivers access to a maximum cargo capacity of 96.8 cubic feet.  Comparatively, the 2019 Ford Explorer only has a maximum cargo capacity of 81.7 cubic feet. 96.8 cu.ft. Maximum Cargo Capacity 81.7 cu.ft. 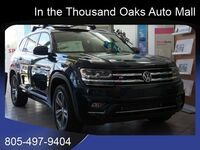 Many of the standard driver assistance features that 2019 Volkswagen Atlas owners rely on to keep their passengers safe aren’t available for the 2019 Ford Explorer’s base trim. Although blind-spot monitoring, forward collision mitigation and rear cross-traffic alert are all standard in every 2019 Atlas, these features are only available in the 2019 Explorer’s XLT trim and above. This is also the case for many of the advanced technology features found in both SUVs. While smartphone integration (Apple CarPlay/Android Auto) comes standard in the 2019 Atlas, 2019 Explorer drivers who want access to these features will have to purchase a higher trim level. Other standard technology features in the 2019 Atlas include a rearview camera and Bluetooth connectivity. 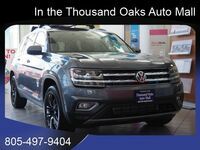 2019 Volkswagen Atlas exterior color options include: Pacific Blue Metallic, Fortana Red, Tourmaline Blue Metallic, Deep Black Pearl, Platinum Gray Metallic, Pure White, Terra Brown Metallic and Reflex Silver Metallic.